a) By law, Craigmhor Lodge & Courtyard is a non-smoking establishment. b) Craigmhor Lodge & Courtyard reserves the right to cancel the reservation of the guests without notice if guest ignore the non-smoking policy. Guests will be fined if found smoking within the establishment. a) Full Scottish Breakfast is included in the rate quoted and is served between 08.00 and 10.00 Monday – Sunday. Should a guest require breakfast out with these times, we require 24h notice. The earliest we can arrange a fully cooked breakfast is 07.30.
b) We can cater for special dietary requirements but would need to be advised of such at time of booking or at least 24hours in advance. c) We can provide a Continental Breakfast in your bedroom. We require a minimum of 24 hours notice to arrange this service. d) Supper hampers can be provided in your bedroom as detailed on our website. We require a minumum of 24 hours notice to arrange this service. a) Bedrooms are allocated according to the room type booked, unless a specific room is requested at time of booking. 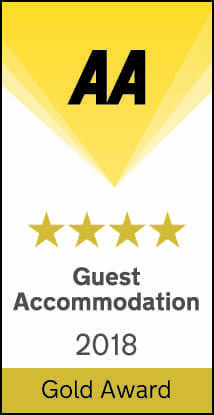 b) Every guest is liable for damages caused in the bedroom which have not been reported on check in. c) Disabled facilities are not provided in the establishment however we do have a bedroom that is suitable for guests with mobility difficulties. Should you have a disability that prevents you from walking stairs please let us know on time of booking. a) If a booking is cancelled less than 48 hours before arrival the full amount for the stay (as booked) will be charged unless the hotel is able to resell the room. b) Cancellations and alterations must be made in writing. b) Traveller cheques or Foreign Currency is not accepted as method of payment. Animals/Pets are not permitted inside the establishment but can be left outside overnight. Should it be found that an animal was being held in a bedroom or any other part of the establishment a cleaning charge will apply. Craigmhor Lodge & Courtyard will not be held liable for damage to vehicles or theft of/from vehicle whilst parked in the business grounds.